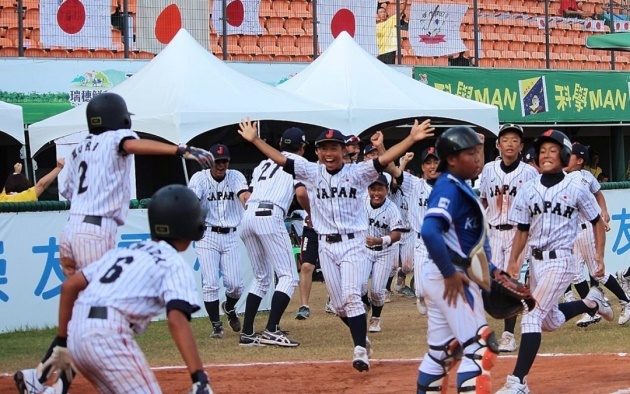 August 5, 2017　Japan beat (6-5) Korea on a walk off double by first baseman Yamaguchi and stays alive in the race for a spot in the championship game of the U-12 Baseball World Cup. 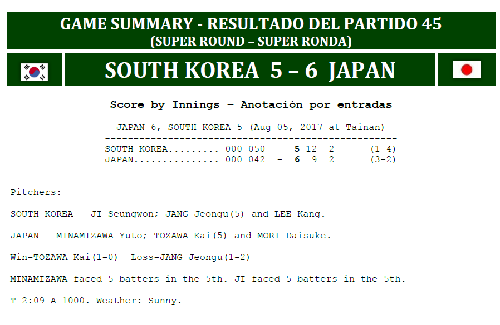 Samurai had fallen to Korea 5-0 with only 2 at bats to go and didn’t seem to be able to figure out a way to get to starter Ji Seungwon. But given a chance to come back, they capitalized on a couple of defensive blows and got away with a very important win.